I has lots of ideas for this challenge but in the end decided I needed to get on with my Christmas cards so went with the background paper. Our Guest Designer for this challenge is the very talented Karren. 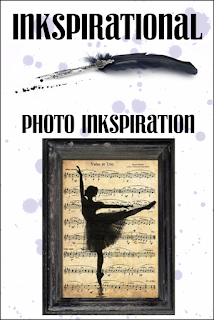 Check out here blog here, it is full of so many creative projects. Karren and all the DT have made some inspiring cards-check them out here then get inky! Great card! Love the bauble made with musicpaper against that color. Love your fun ornament! Very creative use of the music paper and great pairing with the red! Great take on the photo, Sandie. 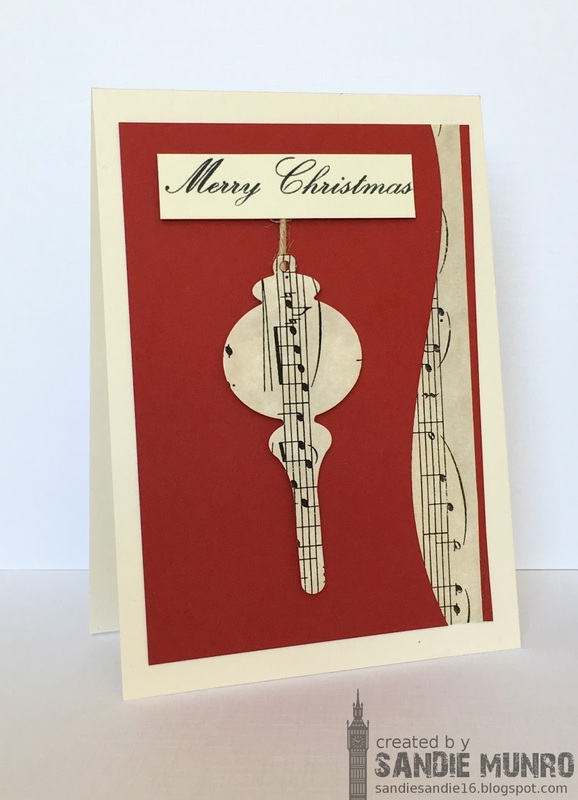 The curve of the card layer works beautifully with the curve of the ornament. The way you''ve die-cut the music paper is just fabulous. And so much impact against the red. 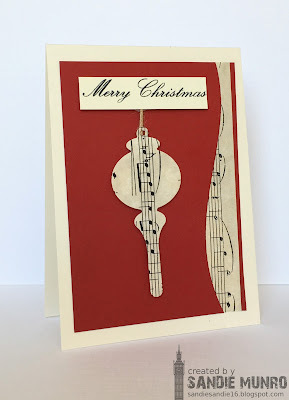 Sandie, your bauble sings of Christmas past... gorgeous vintage red is just the perfect color match for your sheet music! gorgeous, my friend! Verry inspiring card! Love that it has a bit vintage and amodern feel at the same time; so clever! Enjoy the weekend! Such a unique take on the photo with your festive bauble paired with the lovely red and music notes! Gorgeous! Fabulous card...love your sweet ornament! What an absolutely brilliant design this is Sandie, I love your use of dies! The sparing use of your sheet music paper really makes it pop and doesn't over-power the card. Great designing!